Stay informed on all news related to SC3V Little League. Text 81010 with the message @sc3v. 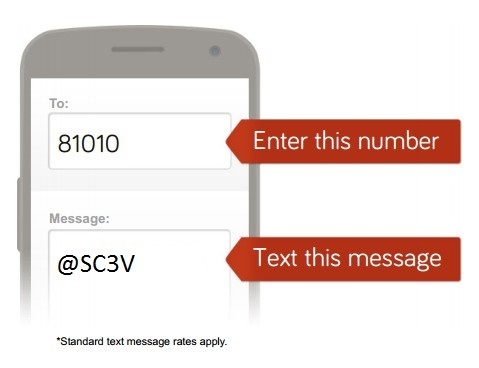 You will receive an automated response asking for your name.Once you reply with your name, you will be signed up for Remind texts that will contain all news and information regarding SC3V Little League.